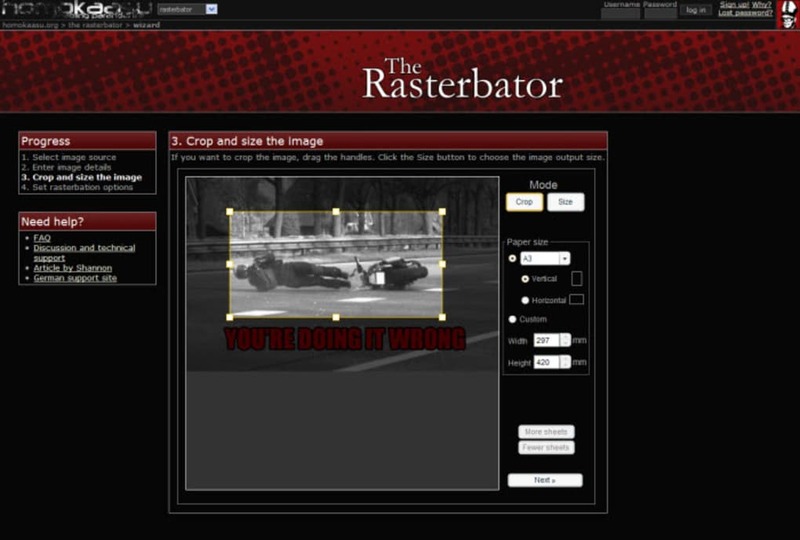 People who wish to resize images can do this quickly and conveniently using the Rasterbator. This is ideal for anyone who is looking for a way to create large posters or pictures from their photographs. There is no need to install the programme as everything can be done online and although the resized images do not come out looking exactly like the originals they are given a certain artistic look that is sure to appeal to anyone who has an eye for design. This programme is compatible with a number of different applications and can be used to create vibrant posters banners and other types of large images that are sure to grab the attention of anyone who sees them and really create a lasting impact. However it has to be said that the Rasterbator can be tricky for novice users to master and it can take a little time and patience to create the perfect images. 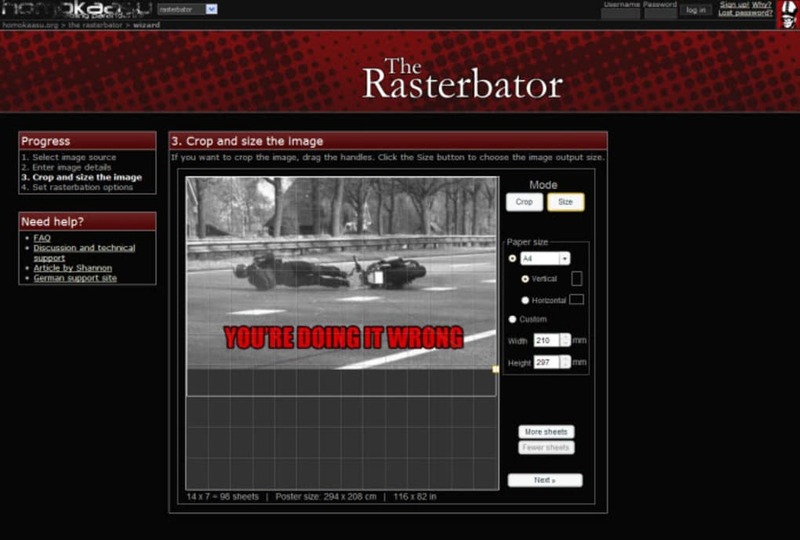 What do you think about The Rasterbator? Do you recommend it? Why?